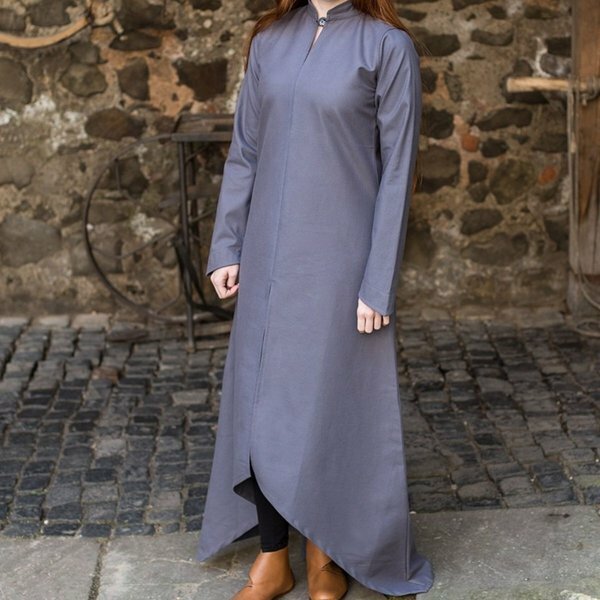 The dress Ranwen is a versatile design, a real eyecatcher. 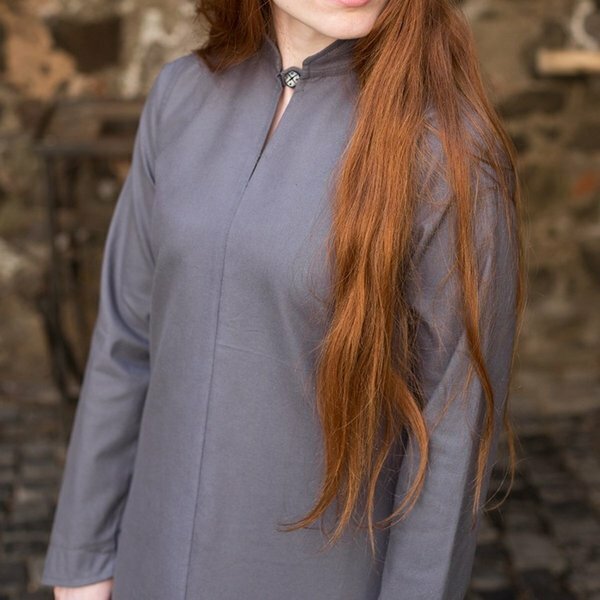 The dress has a collar that you can close with a button. The back of the skirt reaches to the ground and at the front it ends higher up. The front has a high split which makes the design very elegant. 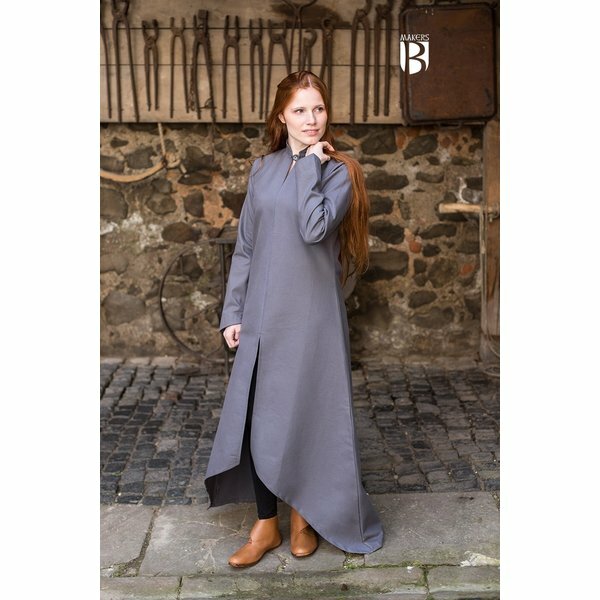 An exciting design that you can wear separately, but can also combine it with a corset, a skirt, a cloak or an overgarment. 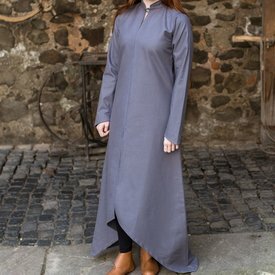 A garment that creates beautiful LARP, Cosplay and festival outfits.